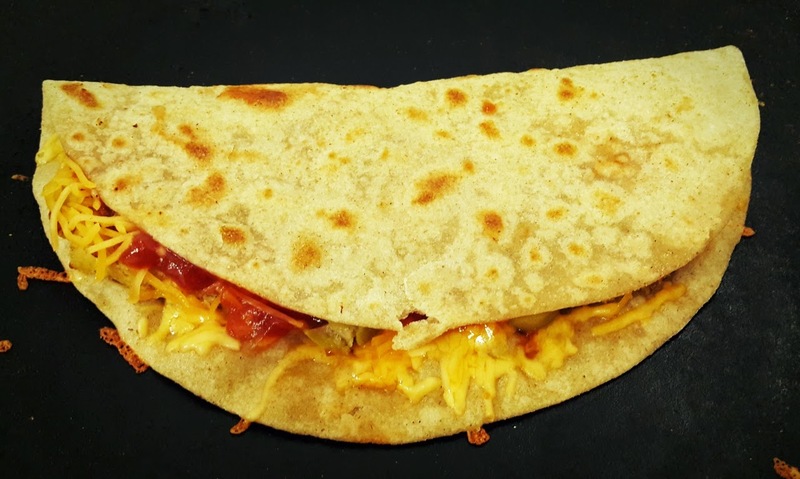 Quesadilla's are a famous Mexican dish which is very easy to be made at home and enjoyed any time of the day... If your are a wrap and roll kinda person like me then you will surely fall in love with this. I basically love any food that is rolled with meat and veggies in any type of roti. 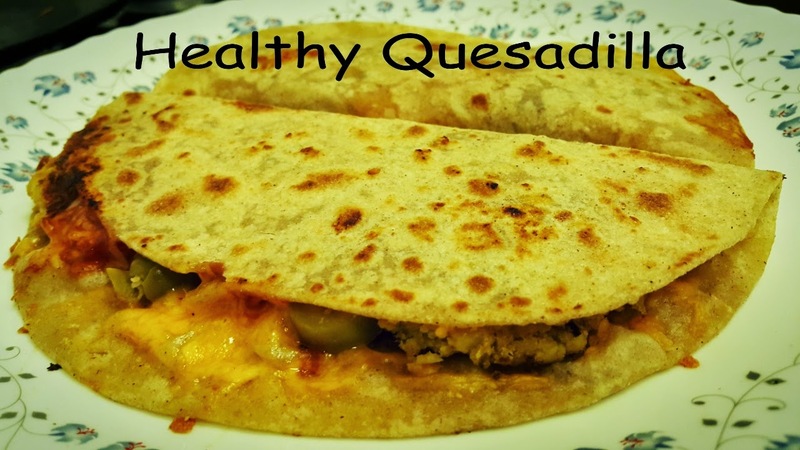 They are actually an easy type of food packed with different things and specially when made at home its much easier to make them healthier too... that is what i have made to this Quesadilla. If using homemade roti, make it earlier and store in an airtight box so that they dont dry out. 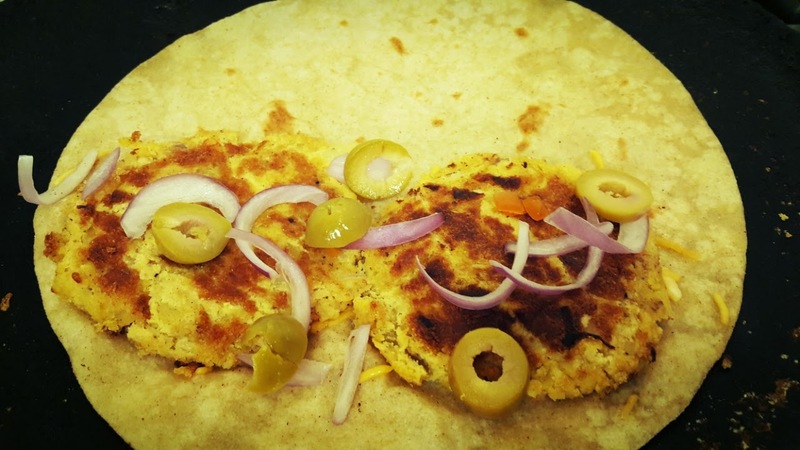 Place the roti in a plate and place the cutlets on one side of the roti and slightly press them so they are nice and flat. Now sprinkle the cheese and sauce over the veggie and cutlet. 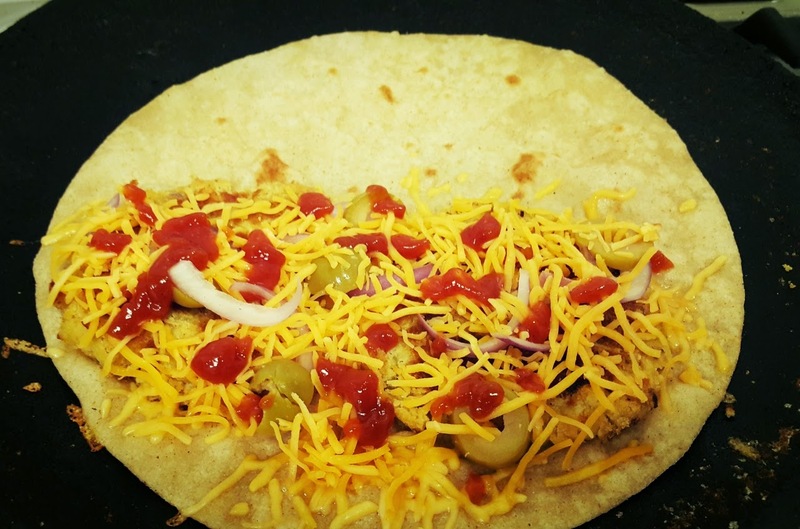 Fold the roti into half and place in a hot tawa and cook till the cheese is melted and both sides of the roti is nicely crisp and brown. Remove to the plate and serve hot. Please leave your comments...Love to hear from you. Some don't know what Roti is. Can you explain?